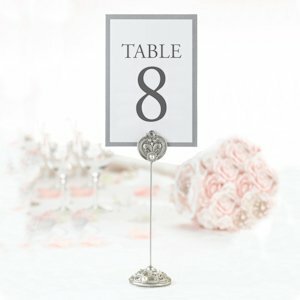 SHARE Our Jeweled Table Card Holders for Weddings are an elegant addition to any formal event. The base and holder offer an intricate design that is accented brilliantly with pearls and sparkling rhinestones. 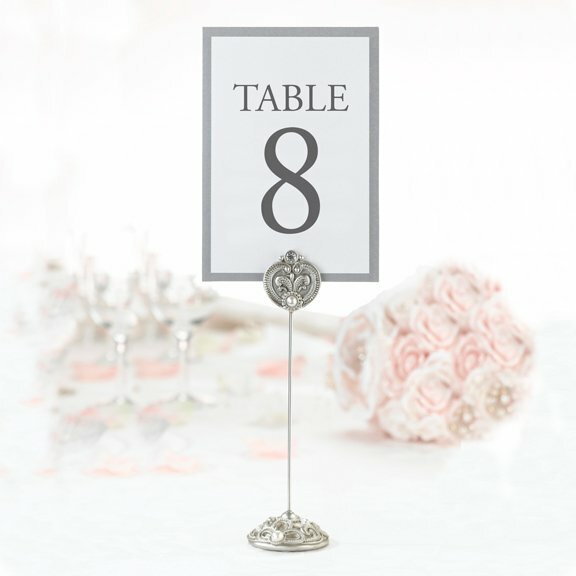 The holder measures 8" tall and is ideal to place the table number sign or use as individual place card holders. Add style to your tables while also welcoming your guests to your celebration. They are sold in a set of 4.